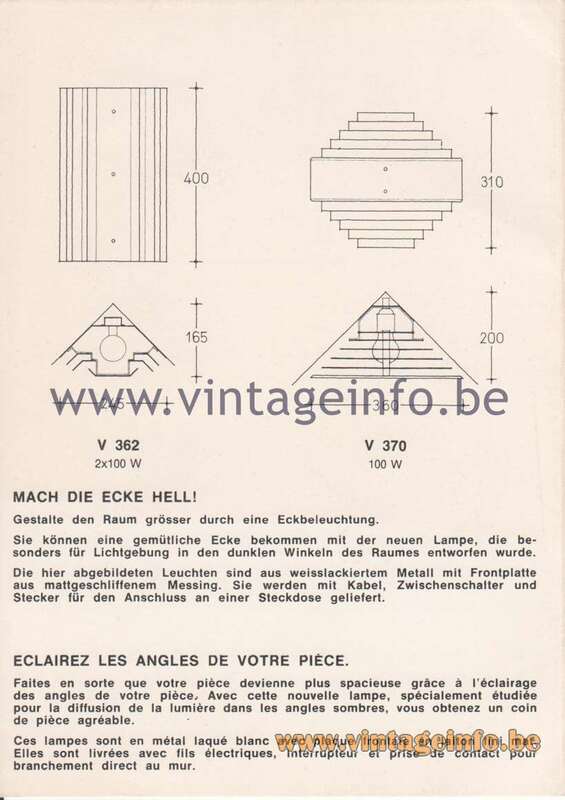 The metal lamps were produced by the Hans-Agne Jakobsson company Hans-Agne Jakobsson AB. The wooden lamps were produced by his company AB Ellysett. Both companies were located in Markaryd, Sweden. His third company was named SCAN-LIGHT,the name was used for the lamps that were mostly made of plastic. 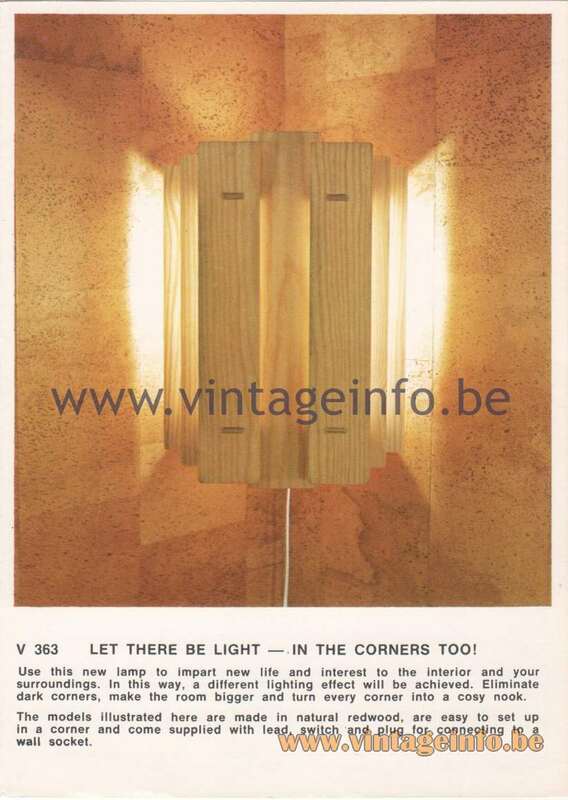 V 365 Wall Lamp – Let There Be Light – In the Corners Too! Make the room bigger with corner lighting. You can make a cosy nook with the new lamp specially suitable for brightening up the dark corners of the room. Use this new lamp to impart new life and interest tot the interior and your surroundings. In this way a different lighting effect will be achieved. Eliminate dark corners, make the room bigger and turn every corner into a cosy nook. 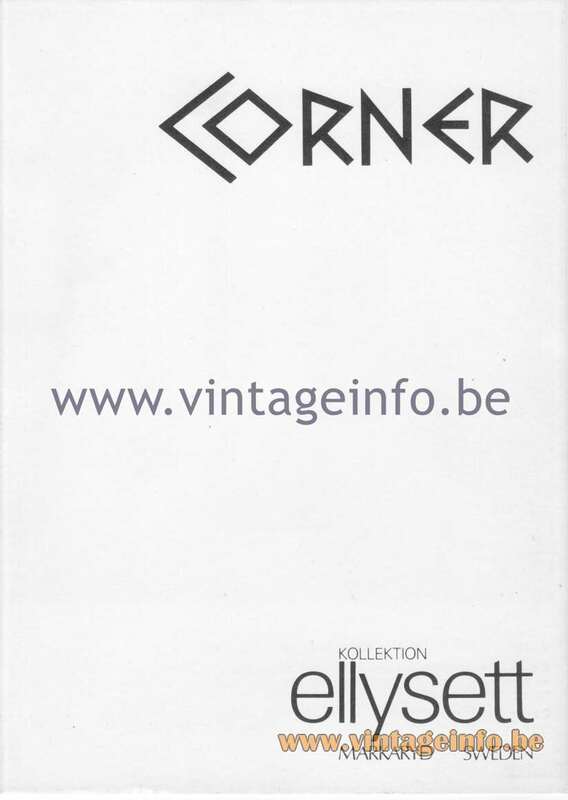 Let There Be Light – In the Corners Too! Auch In Den Ecken Soll Es Hell Sein. Lumière Allumée! De Meme Dans les Angles. 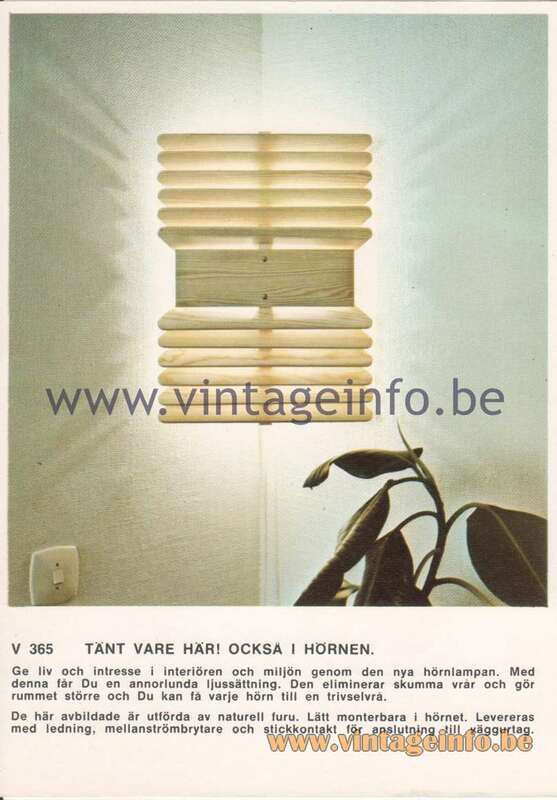 More info about the lighting companies of Hans-Agne Jakobsson (1919 – 2009), can be found here on Vintageinfo.